In April 1917 800,000 tons of allied shipping - equivalent to 17 Titanics - were sunk by German U-boats. As part of their contribution to stop this, the U.S. Navy shipped over components and vessels to build and lay sea mines between Orkney and Norway. 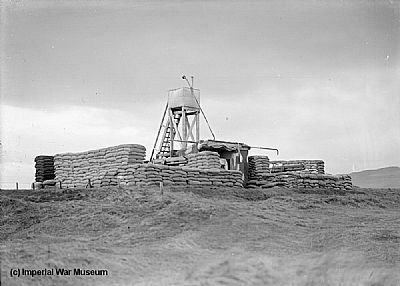 In the Highlands, bases were built at Inverness and Dalmore, near Invergordon, in Spring 1918. U.S. Navy personnel assembled and laid most of the mines, escorted by the Royal Navy. After the war, the difficult task of removing them.